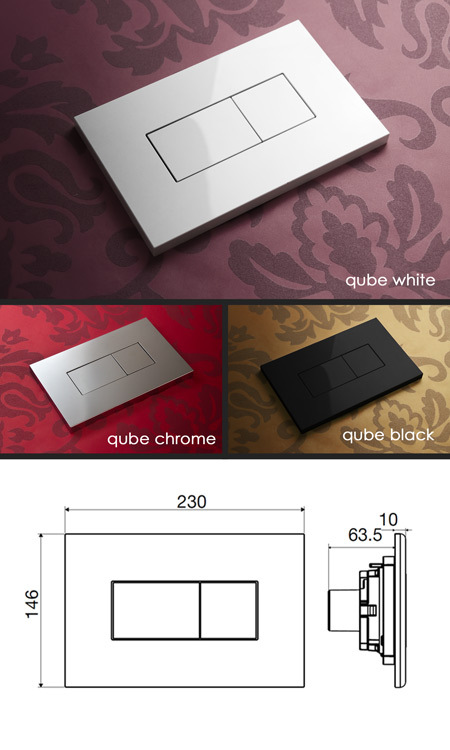 Lovely quality and very stylish, the Qube flush plate is Italian designed and manufactured. These air operated flush plates have both half and full flush buttons and are mated to our extremely reliable hidden toilet cisterns. The toilet push buttons are available in white, black and chrome.